Atul Gawande, an American surgeon and researcher, sparked a debate in the medical community seven years ago with his New Yorker article Personal Best, in which he explored the benefits of coaching. The best athletes in the world, he reasoned, rather than sitting on their hard-earned laurels, employ coaches as a matter of course, to scrutinise and review their game, work on imperfections and amplify their strengths. He discovered that many elite musicians do, too. So why did other types of professionals not consider the advantages of coaching as an option for improving performance? Professionals, he concluded, are educated in a discipline, and then, their learning complete, sent out into the world to get on with it. The situation and practice in New Zealand are quite different and warrant separate discussion. Martin Tolich and Barry Smith will write a separate post on this in a future edition. Much the same, we at AHRECS have found, are many Human Research Ethics Committees. In Australia, members are engaged for their “relevant skills and/or expertise”, as required by para 5.1.28 of the National Statement for the Ethical Conduct of Human Research, but exactly what those are is not spelled out, and a lack of volunteers sometimes means institutions will settle for a person who merely falls within the membership criteria in para 5.1.30. While a wise recruiter of HREC members will raise questions about familiarity with ethical frameworks, and group decision-making dynamics, the National Statement does not mandate the possession of skills in either of these. It is to be hoped that a new HREC, and new HREC members, will receive an induction that covers both. Para 5.1.29 of the National Statement, after all, requires both the induction and the ongoing education of members. However, the most recent available NHMRC annual Report on the Activity of Human Research Ethics Committees and Certified Institutions(for 2016) indicates that fully one-third (33%) of HRECs do not provide new members with induction, and that over a quarter (27%) had provided none of their members with any training at all over the past year. Of the 77% of HRECS which reported that “at least one” member had received training during the year, it is not reported whether morethan one member has, leaving open the possibility that the figures are considerably worse. And from my own experience, some HRECs do not even provide that training themselves, but rely on diligent members to source and pay for their own. It is no wonder, therefore, that many HRECs struggle to reach a common understanding of the concepts in the National Statement, become bogged down in detail, or adopt a risk-averse adversarial culturethat stifles the progress of their institution’s research. They need a fresh set of eyes and an injection of new thinking that will not detract from their existing body of experience and expertise, but will challenge and build upon it. Gawande’s article provides trenchant examples of the benefits he has experienced as a surgeon from introducing coaching to his practice – beginning, simply, with engaging another experienced surgeon to observe and comment on his surgeries. He recently revisited the issue in his December 2017 TED Talk “Want to get great at something? Get a coach”. In this presentation Gawande shows compelling instances of the improvements coaching has brought to teams of health practitioners, not only in terms of their expertise but in their group culture and strategic problem-solving skills. There are a number of options for institutions seeking to support their HRECs through coaching. Mainstream executive coaches may offer assistance in the areas of chairing and group decision-making. More specialist research ethics expertise may be sourced from the HRECs of other institutions, or from previous Chairs. 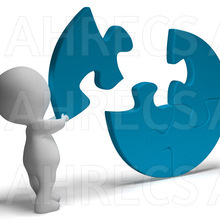 The AHRECS team is committed to life-long learning and improvement, and we, too, offer practical, cost-effective coaching to facilitate real improvement for committees at any level of sophistication. Whatever solution you choose, significant value can be gained by having impartial, experienced experts observe your HREC in action, make practical and nuanced suggestions for improvement, and identify obstacles to best practice. As a bonus, HRECs can also use coaching to meet the requirements of the National Statement for the continuing education of members. The world’s best professionals recognise the advantages that coaching can bring. HRECs can, and should, seek those benefits too.